← J is also for Justin Bieber! I grew up in a conservative family where love is not expressed through gestures like kissing or hugging or touching. From a young age, we slept separately from our parents and if we had bad dreams in the middle of the night, that would be too bad for us because we would not be able to access our parents – their bedroom door was locked every night because being a nurse, my mom needed a good night sleep. And dad needed a good night’s sleep too because he had to go to school and deal with naughty students. Dad, cares in his own way. I thought that was normal until my aunt came back from England with her Italian husband. And you know how romantic and passionate Italian men are! And so at the age of 7, I found out, with a large dose of culture shock, that adults do express their love in strange ways which involve their lips touching the other, which at that age, it had seem to me a rather disgusting gesture! So I was quite relieved that my parents did not express themselves that way. In fact, they rarely expressed themselves at all, except when we did something wrong or naughty. Then, we will see the whole range of their expressions – the expression of anger! So when I had children of my own, I wanted to show them all my love, unreservedly. Because I know how it feels not knowing what a kiss or a hug feel like. Or a praise or an approving nod for a job well done. Children need to feel all that. A kiss tells a million love. And don’t forget to kiss your spouse too. In front of the kids of course! 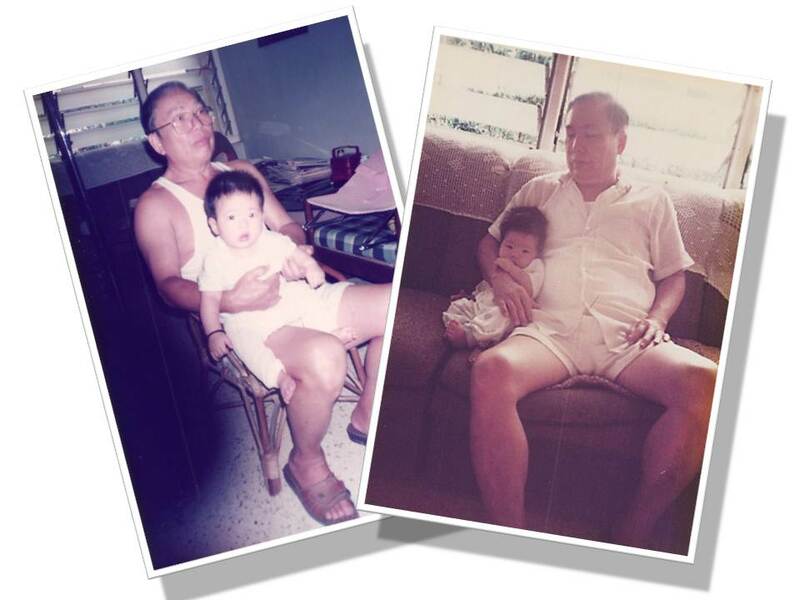 This entry was posted in Personal and tagged Fathers; Day. Bookmark the permalink.